Elizabeth Kostova’s engrossing debut novel is the culmination of ten years of research and a lifetime of imagining — since Kostova’s girlhood, when her father entertained her with tales of Dracula, she has envisioned the story that would become The Historian. With her academic spirit and extraordinary talent, she’s spun an intricate tale of sprawling mystery and suspense. 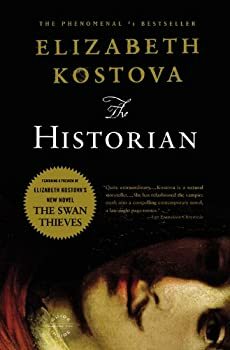 Kostova graduated from Yale and holds an MFA from the University of Michigan, where she won the Hopwood Award for the Novel-in-Progress. CLICK HERE FOR MORE BY ELIZABETH KOSTOVA. ... Knowing what to expect, especially in a novel like this one, may make all the difference as to how much you enjoy it (or This is going to be a tricky book to review, particularly since I've never seen reviews for a book on Amazon.com so evenly divided as they are for Elizabeth Kostova's debut novel The Historian. The people who love it seem to really love it, and those that don't...really don't. I think it all comes down to what your expectations are, for unlike easily categorized books, it's difficult to pin down The Historian.